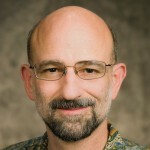 Seth Grimes is one of the leading industry analysts covering the text analytics sector. As part of his annual year-past/look-ahead report on this technology and market developments, Seth polled a group of industry executives, asking their thoughts on the state of the market and prospects for the year ahead. José Carlos González, CEO of Daedalus / MeaningCloud, was one of the selected executives. In the interview, Seth and José Carlos discuss industry perspectives, technology advances and the “breadth vs depth” dilemma faced by many text analytics vendors. What should we expect from your company and from the industry in 2015? Voice of the Customer (VoC) analytics — and in general, all the movement around customer experience — will continue being the most important driver for the text analytics market. The challenge for the years to come will consist in providing high-value, actionable insights to our clients. These insights should be integrated with CRM systems to be treated along with structured information, in order to fully exploit the value of data about clients in the hands of companies. Privacy concerns and the difficulties to link social identities with real persons or companies, will be still a barrier for more exploitable results. Interested? Read the rest of the interview –featuring market developments and company and product strategies- on Seth Grimes’ blog.